A passenger airplane crashed Friday, shortly after taking off from Havana's airport in Cuba. 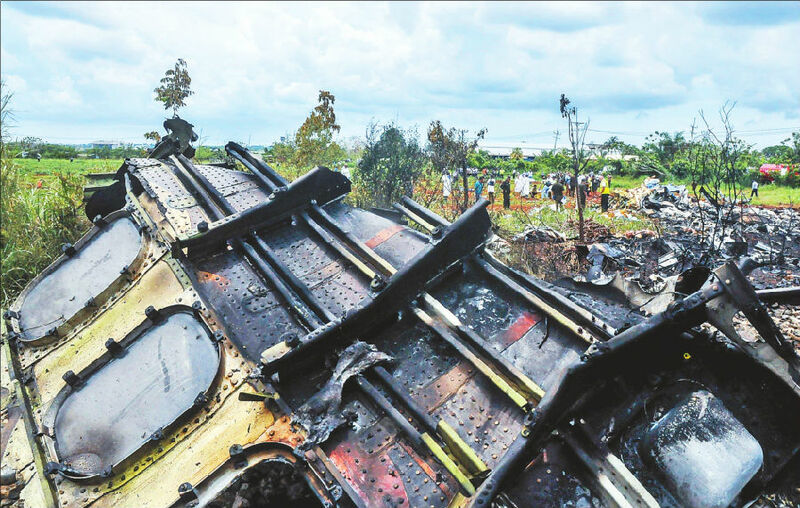 The plane carried 104 passengers and nine crew members. The number of deaths is not yet known. Cuban President Miguel Diaz-Canel visited the site of the crash, and told Agence France Presse, "It appears there is a high number of victims." Cuba's state broadcaster reported the plane crashed in Boyeros, a rural area about 20 kilometers south of Havana. The plane, operated by Cuban national airline Cubana, was heading to Holguin in eastern Cuba. A witness told Reuters the plane's wreckage spread over the rural area, and that emergency vehicles and firefighters were there. A worker at Havana's Calixto Garcia hospital told Reuters three victims of the accident had arrived so far. One died from burns, and the other two were in a serious condition. Friday's crash was Cuba's third major airline accident since 2010. Last year, a Cuban military plane crashed into a hill in the western province of Artemisa, killing eight soldiers. In November 2010, an AeroCaribbean flight from Santiago to Havana crashed in bad weather over central Cuba. The accident killed all 68 people, including 28 foreigners. On Sept. 4, 1989, a charter flight leaving Havana for Italy crashed shortly after take off, killing all 126 people on board. The airport ground crew tried to dissuade the pilot from taking off. Siemens actually has a high number of foreigners on its management board. International treaties say passenger airplane pilots must speak english. 5.A witness told Reuters the plane's wreckage spread over the rural area, and that emergency vehicles and firefighters were there. His coat was spread over the bed. Her ashes were spread over the sea. 6.One died from burns, and the other two were in a serious condition. A hospital spokesperson said the victim was in a serious condition. He was in a serious condition after acoronary attack.